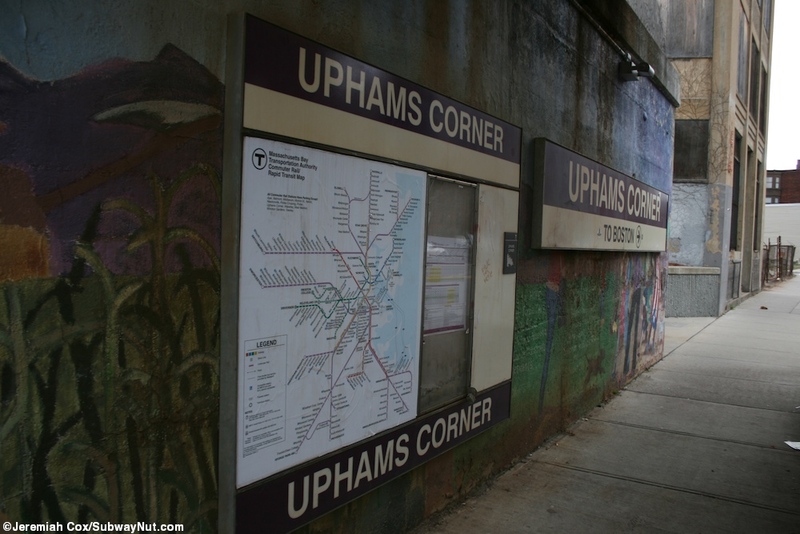 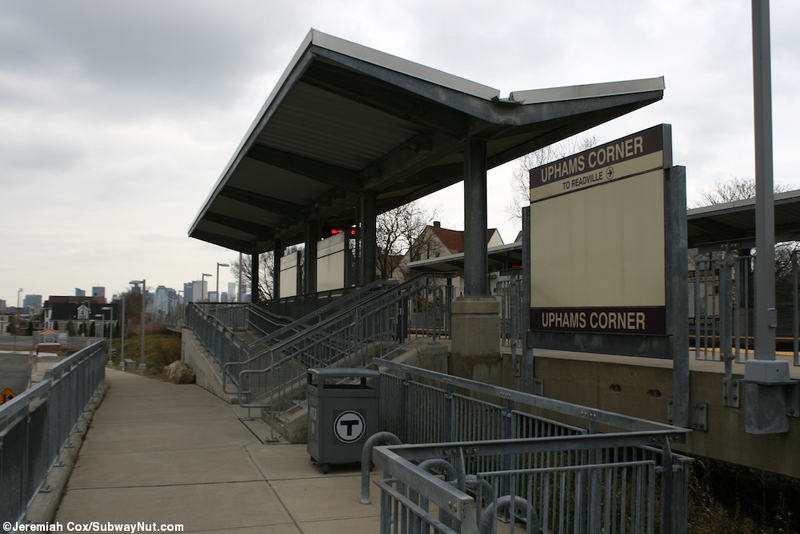 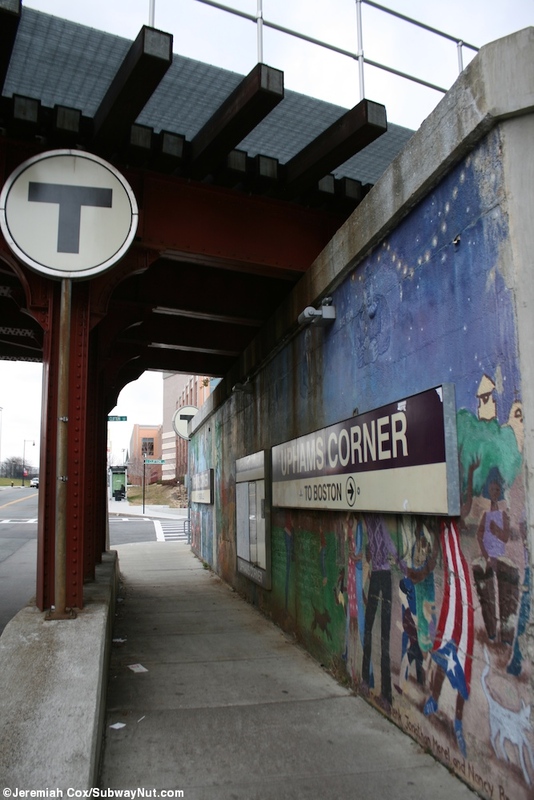 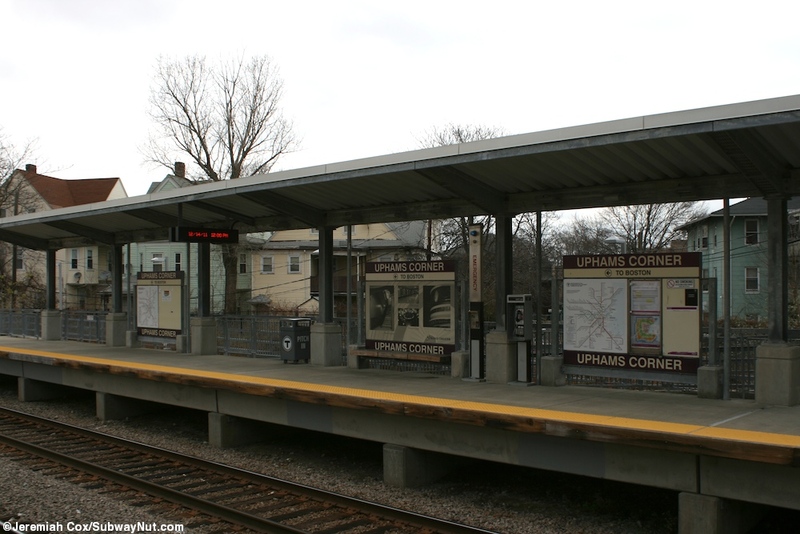 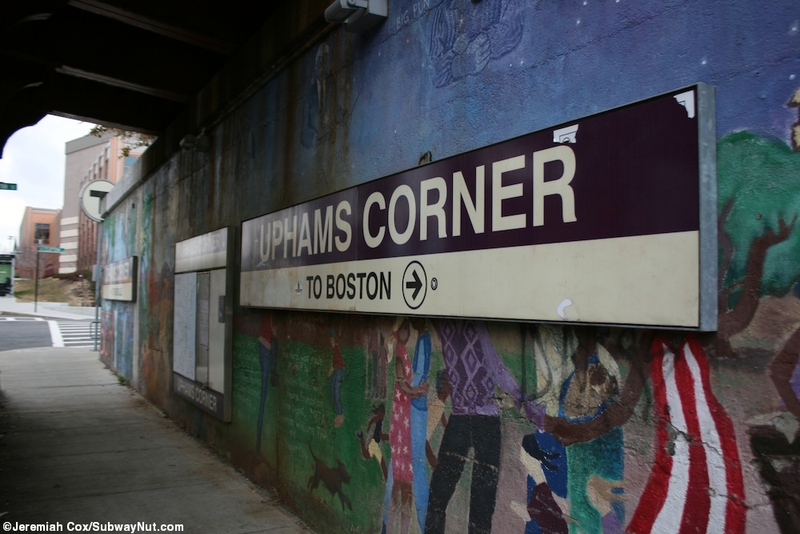 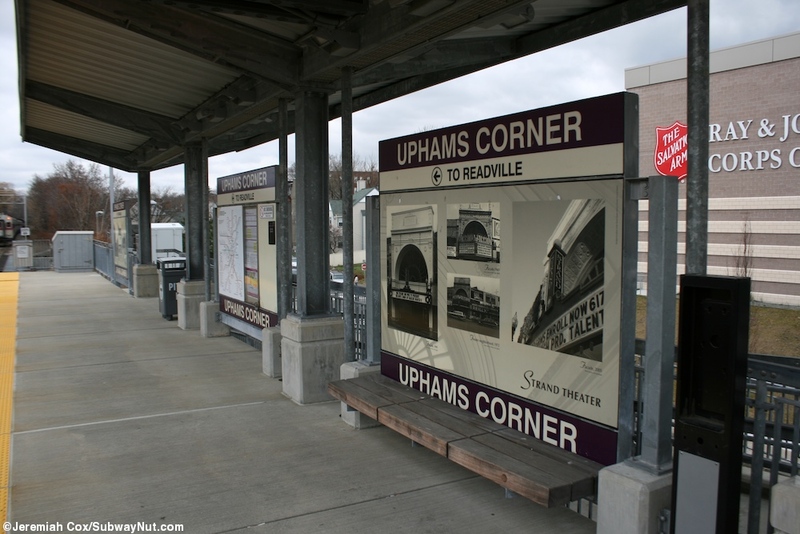 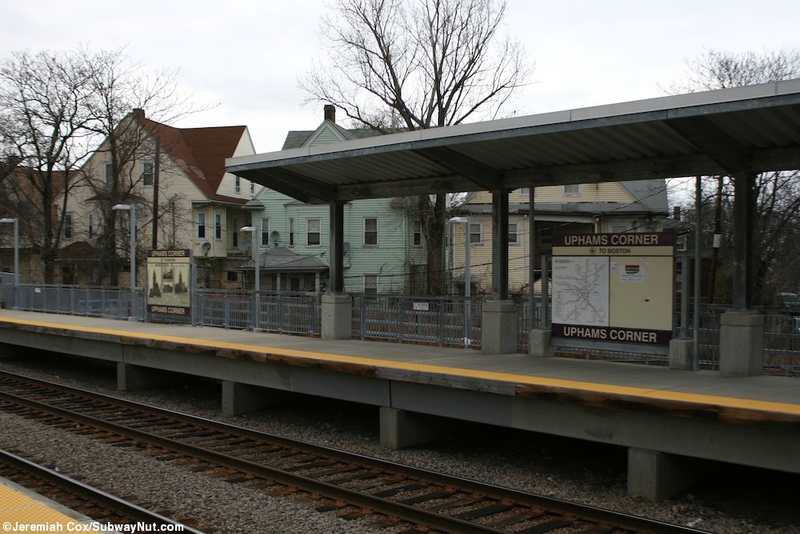 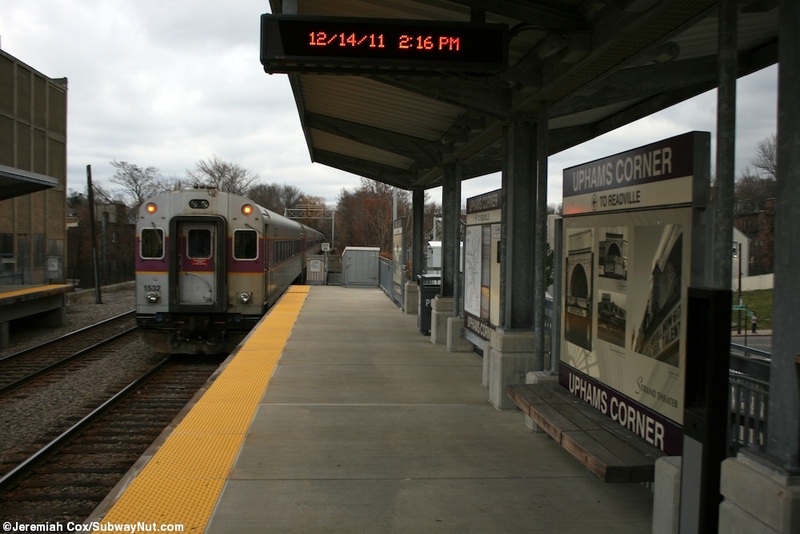 Uphams Corner is the first stop on the short Fairmont Line and has two long full-length high-level side platforms. 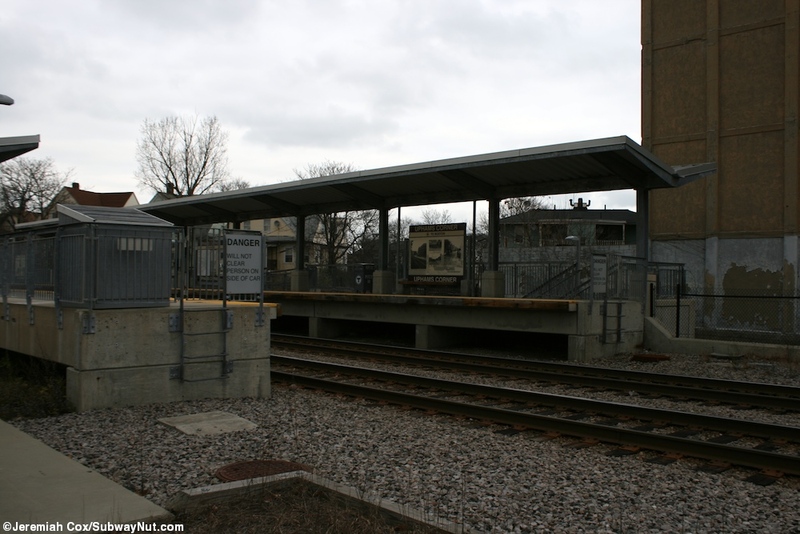 These are canopied towards their southern ends with silver metal fencing and left to be exposed to the elements at their northern ends. 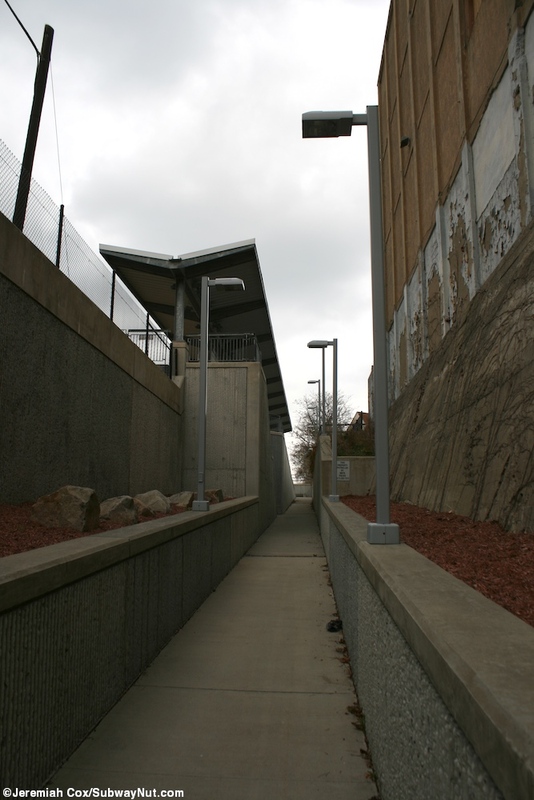 This station is located on an embankment just north of the overpass across Dudley Street. 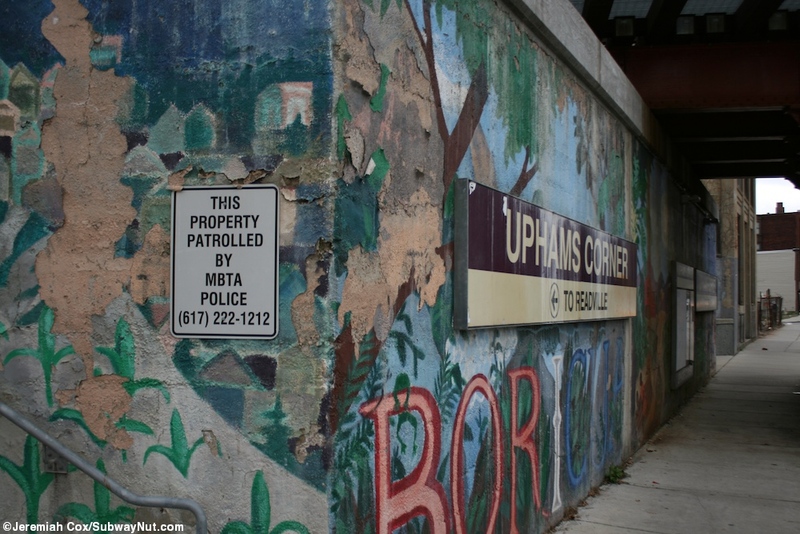 The overpass is covered in a mural. 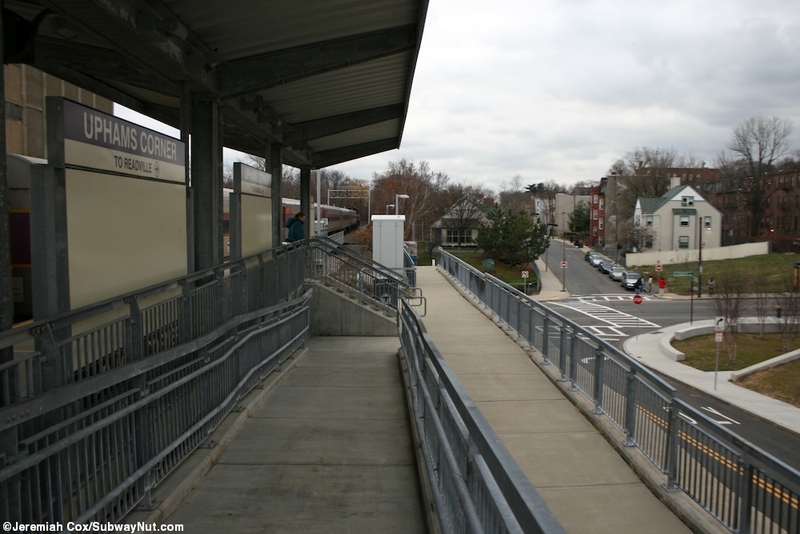 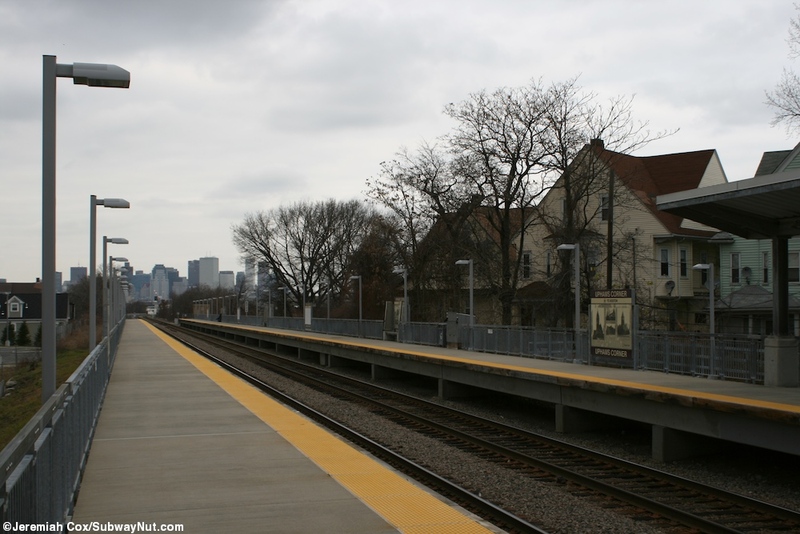 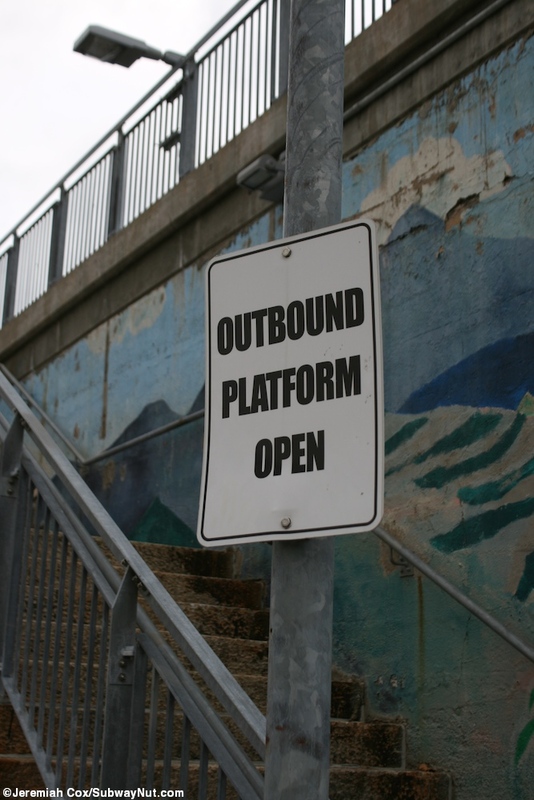 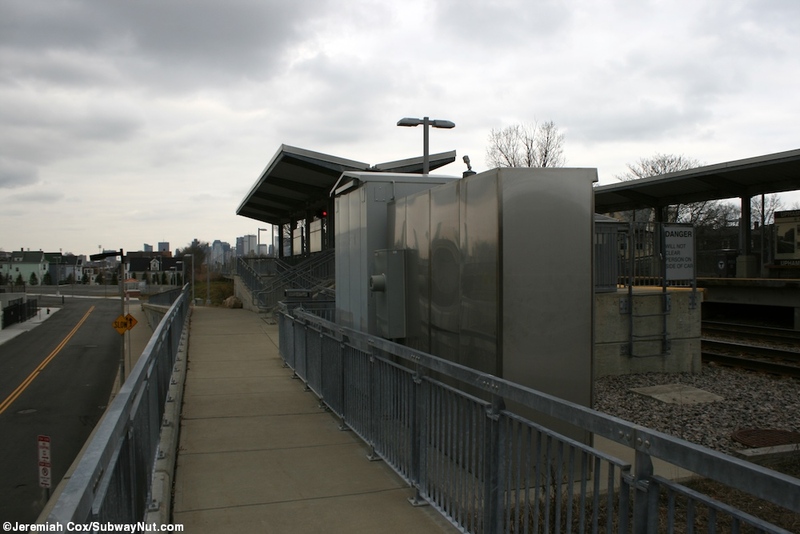 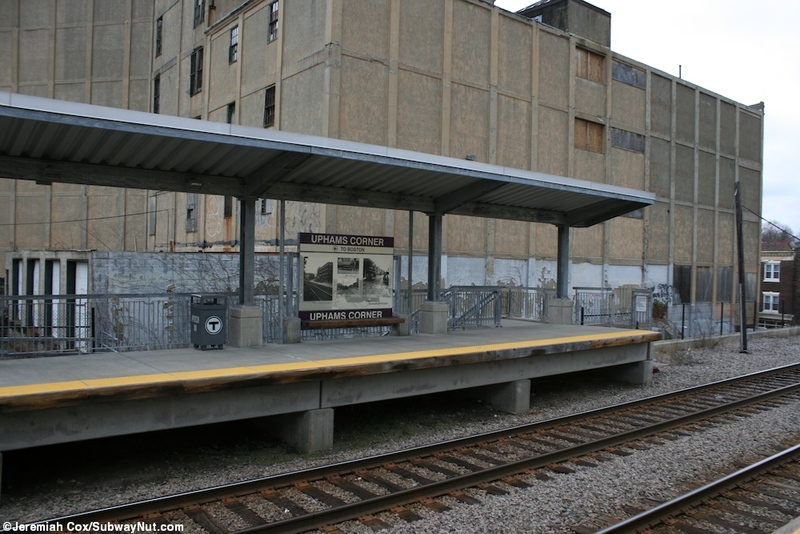 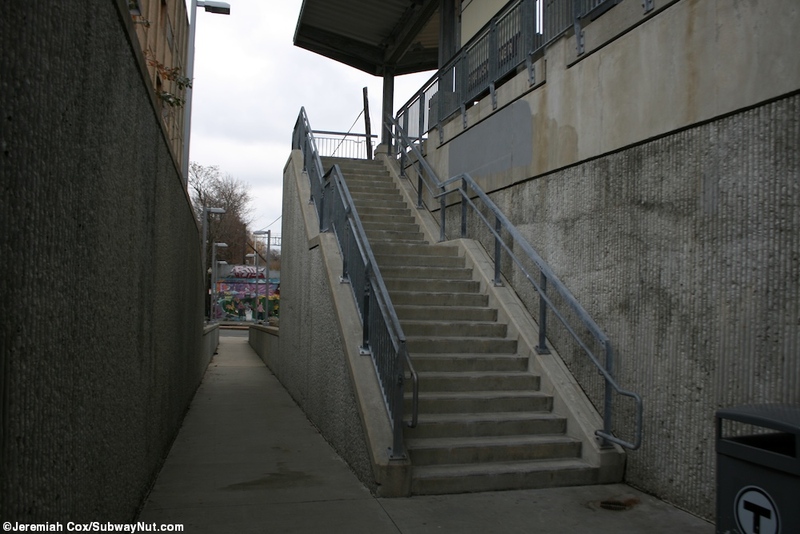 The inbound platform's one access point is directly from here with a ramp that leaves from the sidewalk and goes up to wend its way up to the platform with an intermediate staircase for shorter access. 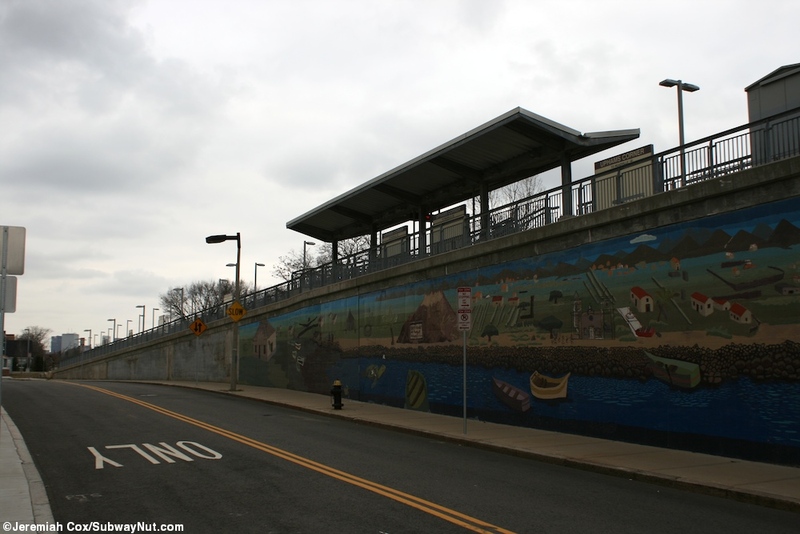 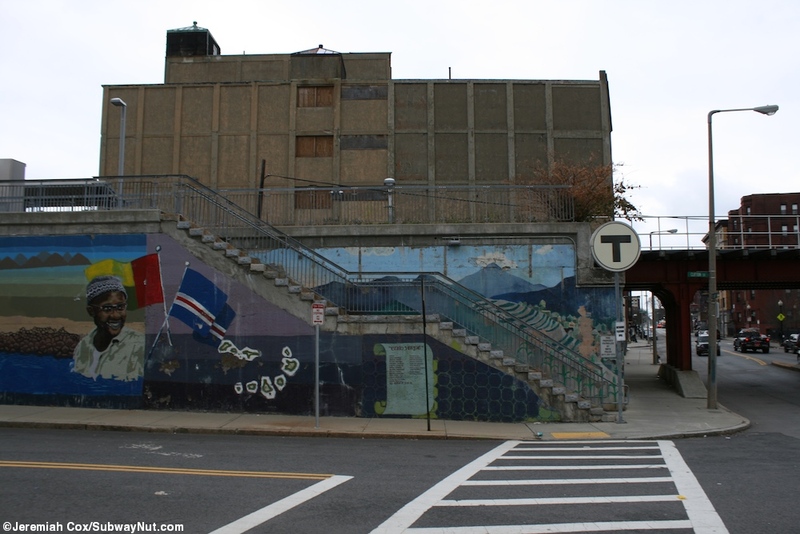 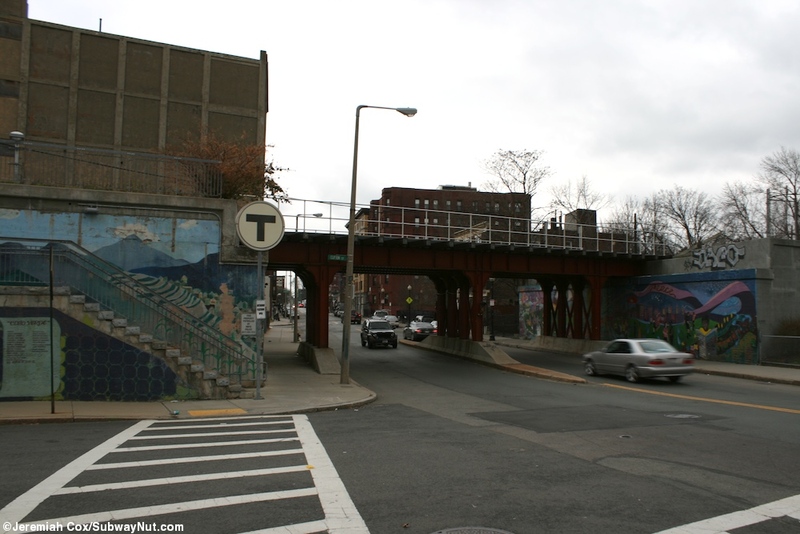 The outbound platform has a staircase down to Dudley Street and a ramp that goes the other direction to Clinton Street across from the intersection with Burgess Street.